February 02, 1905. The day my Heroine was born. Today we are commemorating the birth of Ayn Rand. Ms. rand was a wonderful romantic realist novel writer that choose America as her home after fleeing from the USSR in the 1920s. 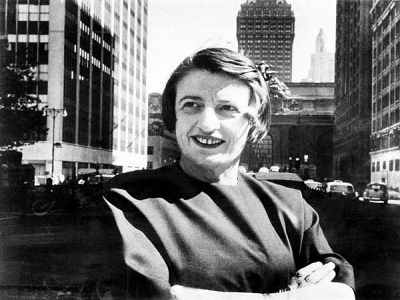 Ms. Rand was the philosopher who made the first defense of the morality of Capitalist and who elaborated a complete philosophical system that she later called Objectivism. Ms. Rand was the greatest advocate for individual rights and she is my heroine. It is in her ideas that I find daily inspiration to pursue happiness and objectivity in my life!